BOYD, Sandra (nee McGuicken) - Passed away suddenly at home, on Wednesday, April 4, 2018. Sandra of Oshawa, formerly of Peterborough, Toronto and Northern Ireland in her 75th year. Beloved mother of Sherri Robillard (Bob) of Carleton Place, Andrew Boyd of Kingston and the late Colleen Boyd. Loving grandmother of Jesse Powers, Matthew Robillard and Justin Powers. Dear sister of Carol Morley (Don), Margaret Ann Gillespie (late Don), Caroline (Matt), Wesley (Lesley), Roberta, and Sandra (Hugh). Sandra will be remembered by many other relatives, colleagues and friends in Northern Ireland and all across Ontario. 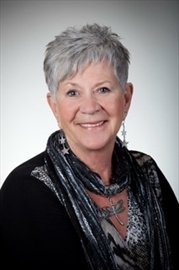 Sandra was a long time and successful real estate agent in Peterborough. She loved to travel, Mexico being her happy place. She enjoyed a glass of great wine with good friends, preferably on the beach. Sandra was an outgoing person who would make friends wherever she went. A memorial reception will be held at the Ashburnham Funeral Home & Reception Centre, 840 Armour Road, Peterborough, on Sunday, April 15 from 2-5 pm. Condolences to the family or donations to the Heart & Stroke Foundation or the Canadian Cancer Society may be made at www.AshburnhamFuneral.ca.